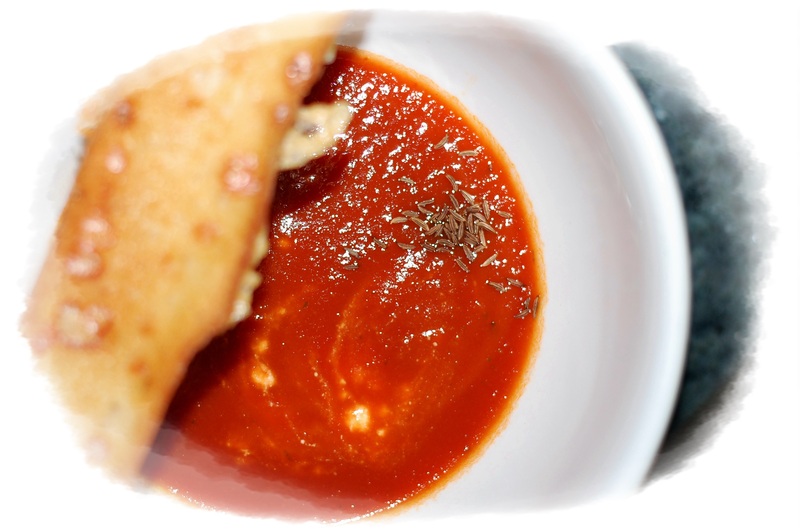 Big Girl Super Bowl of Roasted Tomato Soup & Crispy Crouton Grilled Cheese! New take on Soup & Sandwiches…I’m having this tonight, but no reason to ignore for game time. Roasted and cooked in the Ninja 3 in one cooker…So consider your slow cooker early in the day! 1. Heat the olive oil in a large heavy saucepan over medium heat. Add the onion and red pepper flakes and cook, stirring occasionally, until the onion is tender, about 7 minutes. 2. Add the tomatoes and 1 1/2 cups water and cook, stirring occasionally, for 30 minutes. 3. Add the basil, season lightly with salt and pepper, and let cook briefly before pureeing the soup in a food processor or a blender, in batches if necessary. Note: Keep the soup on medium-low heat if you plan to serve it right away. 2. Heat a small, dry skillet over medium heat. Add the caraway seeds and toast them, stirring occasionally, until fragrant, about 3 minutes. (It’s easy to burn spices, so stick around during this part.) Transfer the seeds to a bowl. Go ahead and melt the butter in the same skillet. Let it cool a bit and then add 1 tablespoon of the toasted caraway seeds to it. 4. 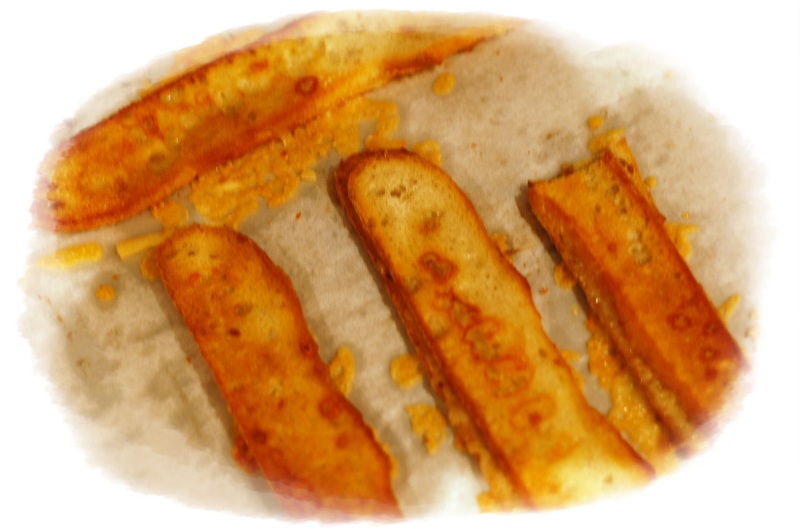 Brush 6 of the bread slices with the melted butter and lay them on the parchment-lined baking sheet. Top each with a single layer of cheese and then top with another slice of buttered bread to make sandwiches. 5. Put the sandwiches on the prepared baking sheet, butter to the outside, leaving some space between them. Cover the sandwiches with a piece of parchment and stack the second baking sheet on top of the first; this will cook the sandwiches on both sides without the need to flip them and will also flatten them a bit. 6. Bake until the sandwiches are golden brown and crisp, 15 to 20 minutes. Carefully peel away the top layer of parchment, transfer the sandwiches to a cooling rack, and serve warm or at room temperature. Note: If there are any ragged bits of baked cheese hanging off the sandwiches, just trip them away by hand; you’ll want to eat these, so go ahead. To serve, divide the hot soup among six bowls. Float a tablespoon of crème fraiche on top of the soup, if you like, and garnish with some of the reserved toasted caraway seeds. Position a grilled cheese sandwich across the top of the bowl, if it fits without falling in, or beside the bowl, and serve.